This series presents original research on theatre histories and performance histories; the time period covered is from about 1500 to the early 18th century. Studies in which women's activities are a central feature of discussion are especially of interest; this may include women as financial or technical support (patrons, musicians, dancers, seamstresses, wig-makers) or house support staff (e.g., gatherers), rather than performance per se. 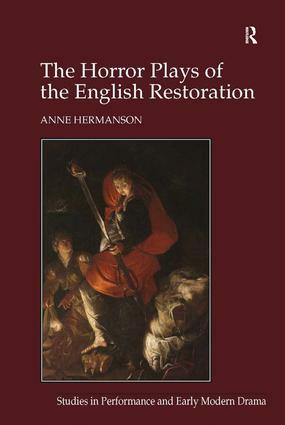 We also welcome critiques of early modern drama that take into account the production values of the plays and rely on period records of performance.